Grow with us, every effort of yours matters to KIFS Trade Capital. 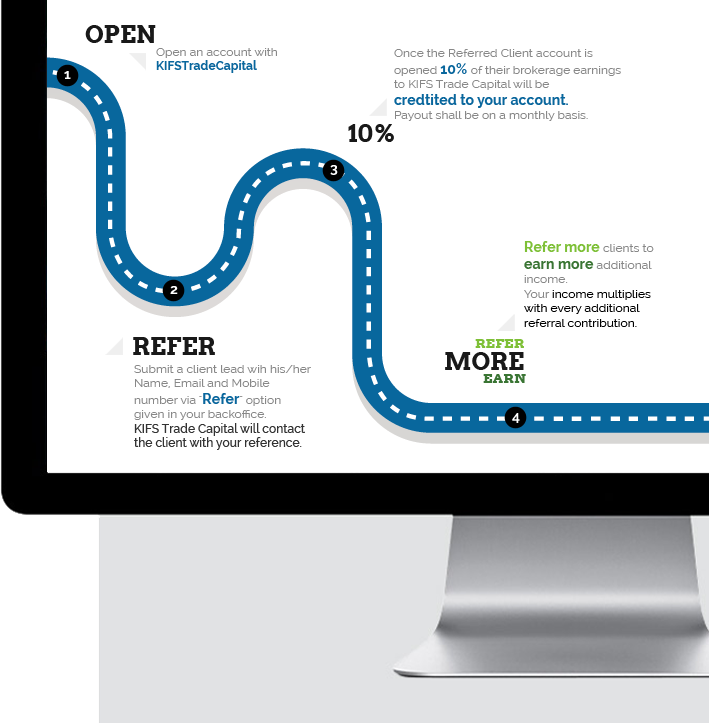 KIFS Trade Capital is offering a first of its kind rewards system based on your referrals. Submit a client lead with his/her Name, Email and Mobile Number via “Refer”option given in your backoffice. KIFS Trade Capital will contact the client with your reference. Once the Referred Client account is opened, 10% of their brokerage earnings to KIFS Trade Capital will be credited to your account. Payout shall be on a monthly basis. Refer more clients to earn more additional income. Your income multiplies with every additional referral contribution.